Hey guys, long time no speak. I’ve been super busy at work and also sorting out my house (we’re selling up). I can’t wait until we have our new house – I definitely plan on showing you all of my ideas for the new house. Fingers crossed! So, I’ve decided to start a series on budget make up and maybe fashion items. First up – make up brushes. I have said previously that it doesn’t matter who you are, you need good make up brushes. The actual application is just as important as the quality of make up you use. You don’t want to spend lots of money on MAC makeup and then apply it with a rubbish set of brushes. the other issue is that good quality brushes can cost a lot of money. You can easily spend over £25 on just one MAC brush. I don’t know about you, but I certainly don’t have the money to try to build a set when brushes cost that much! I’ve already mentioned the Zoeva brushes (which I’m really hoping that I will get for Christmas – promise a review if I do), which I think are great value for seemingly fantastic brushes. I’ve found some other amazing brushes though, which I am currently using myself. These beauties are probably the best brushes I have ever used. Much better than my old Bobbi Brown (although I do still use 3 of those brushes). When I first did my make up with these brushes, I was actually amazed. I didn’t think that the brush would make any difference to the finish but boy was I wrong! My foundation was absolutely flawless – the flat top kabuki brush made sure of that. I feel like this set has everything a beginner would need for full make up application. With brushes for foundation, concealer, eyes and contouring, I really think this set has a perfect selection. The brushes are nicely soft and they wash really well. I’ve washed them more than once (with soap and water) and they have stood up to them perfectly. They went back to exactly how they were when I first got them. People would think that I have shares in the company that makes them considering how many people I have recommended this set to! So, the cost? Well, it’s probably not as much as you think. And if you’re thinking that your guess is really stupidly low – it probably is, but that doesn’t mean that you aren’t right. 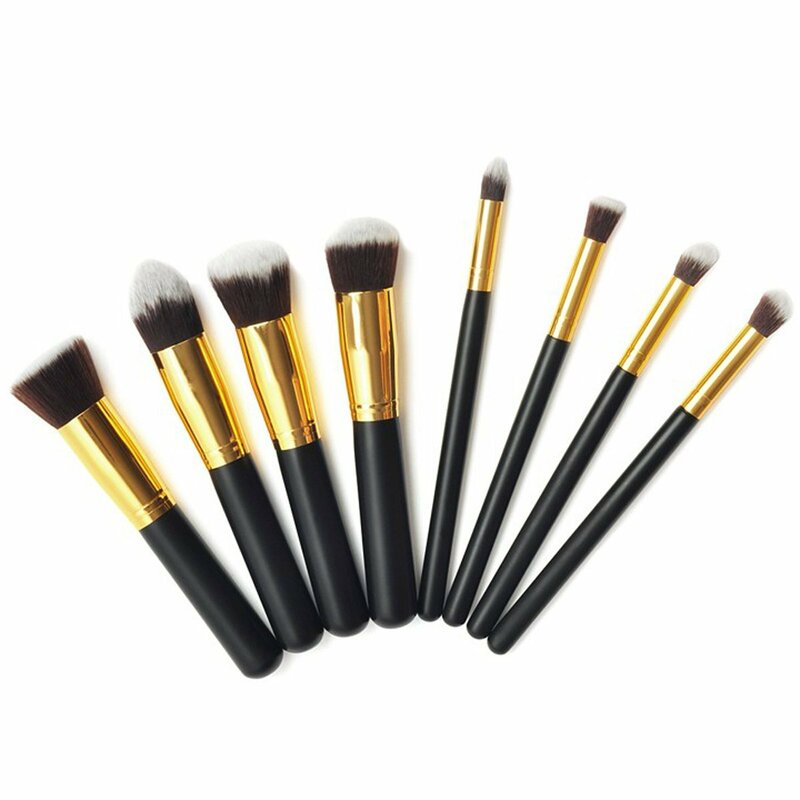 For £8.76, you can get these brushes with free delivery. When I bought them, they were around £11-£12 but I still thought that they were amazing value. My theory is, at under £10, you can give these brushes a proper go. You could be pleasantly surprised. This is also a really great Christmas present idea! If you end up getting these, please let me know how you get on down in the comments!